The Cloud nine micro iron straightener is a very good investment and some might consider it the best travel model out there. When you are searching for the best cordless hair straightener you should always try to focus on value. The reason behind that is not only does this model come from a well-recognized brand, it’s also very easy to use and it has many features that work very well. The design of this model is simple yet compact. This alone makes it a great investment for any festival but it also delivers some interesting features that are perfect for camping as well. That’s what manages to deliver the utmost value and in the end the experience will be a lot more refined when compared to any other mini model. Investing in it is a very good idea if you want to obtain high quality and a very good experience. It’s all about focusing on results and the Cloud nine micro iron does deliver an immense value with a small investment. The design of Cloud 9's Micro Iron plates has an ultra-smooth, mineral-infused ceramic surfaces which minimizes dragging or pinches which is amazing and leaves a glossy finish! The device heats up very fast which we liked a lot but it also integrates a lot of security options. That’s what helps you stay safe regardless the situation and the entire experience is designed with safety in mind which works very well for this model. When moving your straighteners around with you it is so important that the product has thought about the safety of the items around the straightener and yourselves. They have integrated a hibernation mode and an on the go heat guard to make sure there’s no damaged caused when packing them away whilst still hot. It also comes with a luxury carry pouch so that you can prevent the straightener themselves from being knocked or damaged. The small size might not seem imposing but rest assured that the model is very interesting. It manages to deliver a very good value and in the end the experience will be amazing for sure. Combine that with the fact that the model has a very good warranty and you will see how great of a value you can obtain from this device. The small size also is great use for short hair as you can reach right up to your roots a lot easier than when using a normal larger pair of straighteners, they also won’t be so full on as they are a mini pair so will only use half the plated heats other straighteners use. The retro pin curls and fringes that you always wanted to have are no problem for Cloud nine micro iron. During our tests this model handled all hair types without that much of a hassle and it worked seamlessly all the time. That’s what makes it very professional, versatile and suitable for each experience that you might want. With a range of temperature settings between high, medium and low, you can choose the temperature to suit your style and your hair. The one-touch temperature control lets you change the heat setting easily, and with the clear LED display you’ll always know what level of heat you’re applying to your hair. Also important to note here is that the cord length is very good and that alone is a great help this means you can style freely. It really helps provide an immense value and the attention to detail that you can get here is nothing short of impressive. Plus, the device has multiple temperature settings that make controlling it a simple thing and a true pleasure to begin with. 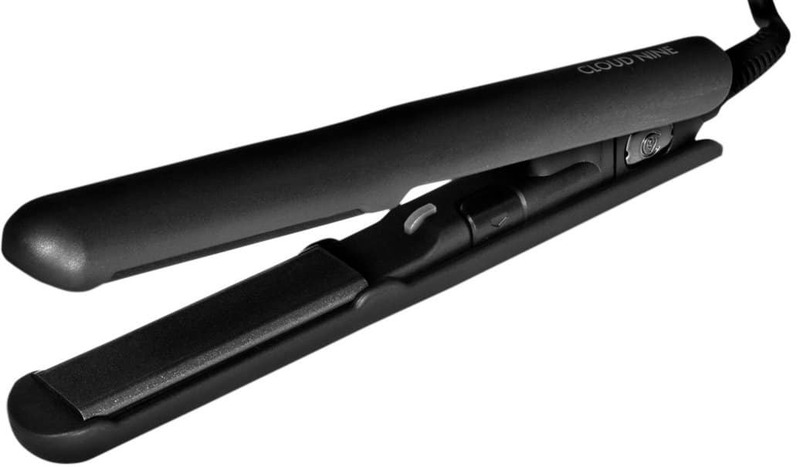 This straightener is currently £41.95 down from £55.00 saving yourself £13.00 on amazon. For a well trusted brand that you can take on your travels is well worth every penny. 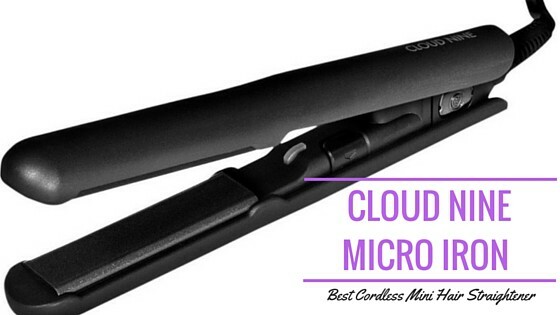 Overall, Cloud nine micro iron is a solid investment if you want a mini flat iron. It’s a great unit and while it can be a little expensive, it does bring in front some immense possibilities. Just give it a shot and you will not be disappointed.